Home Trending News Mary Kom wins record 6th world title in Women’s World Boxing Championship 2018. Mary Kom wins record 6th world title in Women’s World Boxing Championship 2018. Mary Kom created history by winning the first woman to win six boxing world titles. 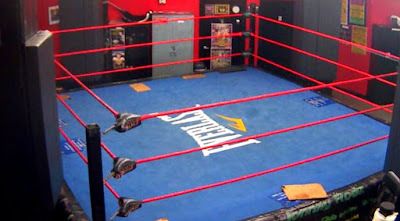 Mary Kom defeated Hanna Okhota of Ukraine by a unanimous 5-0 settlement in the 48kg category. With this win, Mary Kom became the most successful boxer in the history of woman’s world boxing championships. 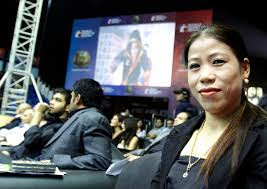 The Manipuri mother of three children, won a silver medal in the beginning edition in 2001 and from there she went on winning a gold each in the next five editions ie., 2002,2005, 2006,2008 and 2010. India's Mary Kom made history in the World Women's boxing championship on Saturday, 24th November 2018. In the light flyweight (45-48 kg) final, Mary Kom won the sixth world title by defeating Hana Okhaya of Ukraine. Winning 6 world titles, she became the world's most successful female boxer. After winning Mary Kom said that she dedicates this medal to the country. Now Mary Kom eying on 2020 Tokyo Olympics Gold. After her victory, there is a flood of wishes pouring in including Prime Minister Mr. Narendra Modi.